Familial hypercholesterolemia (FH) is a common genetic condition that results in high cholesterol levels and is associated with an increased risk of premature coronary heart disease and increased mortality. FH affects approximately 1 in every 300 to 500 people and is characterised by excessively high concentrations of low-density lipoprotein (LDL) cholesterol. If untreated, FH leads to a > 50 % risk of ischaemic heart disease (IHD) in men by the age of 50 and approximately 30 % risk of IHD in women by the age of 60. (1) FH can be effectively managed through pharmacological treatment and lifestyle changes. Indeed, primary prevention directed at improving lifestyle, combined with preventative lipid lowering drug treatment, are known to reduce the risk of coronary heart disease and its complications in subjects affected by FH. 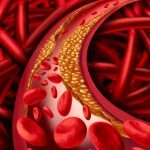 A more recent study by Benson et al (3) assessed the prevalence of hypercholesterolemia and FH in two national databases, explored adherence to lifestyle and lipid lowering medication, and examined rates of “cascade screening”, defined as lipid testing in all first-degree relatives among patients with FH. This was a cross-sectional study of women who were asked to complete an online questionnaire in 2014 (Women Heart Survey). 761 women aged 59 ± 10.1 years replied to the survey. 26% reported a diagnosis of FH, 22% reported “probable” FH, and 51% indicated they had no FH. 83% of the respondents and 95% of those with FH were taking a statin. Among those with hypercholesterolemia and FH, 65% and 58% reported high medication adherence, respectively. The authors reported that “women with probable FH consumed significantly fewer fruits/vegetables and were less active. FH cascade screening was: siblings 54%, parents 37%, and children 34%”. The study showed that “cascade screening is underused” and the authors indicate that efforts should be made to identify cascade screening barriers as both early detection and treatment of FH “is a priority for women, and their first-degree relatives”, due to the fact that this may reduce cardiovascular disease dramatically in this patient group. Regarding these points, the important observations of Hardcastle et al (1) need to be taken into account by medical practitioners. Hardacstle’s findings “support the adoption of direct methods of recruitment to cascade screening led by medical professionals, who were perceived as having greater authority”. Importantly, their study showed that despite positive attitudes toward screening, many participants felt that relatives were reluctant to attend screening due their ‘fatalistic’ outlook or low motivation. Participants also “believed that they had insufficient authority or control to persuade family members to attend screening and welcomed greater hospital assistance for contact with relatives”. Based on the above, clinicians should be encouraged to provide clear information, particularly to asymptomatic individuals, regarding the serious implications of FH and the vital need for these subjects to adhere to prescribed medication and suggested lifestyle changes. Hardcastle SJ, et al. Int J Behav Med. 2015 Feb;22(1):92-100. doi: 10.1007/s12529-014-9402-x. Hollman G, et al. J Cardiovasc Nurs. 2006 Mar-Apr;21(2):103-8. Benson G, et al. J Clin Lipidol. 2016 Jul-Aug;10(4):937-43. doi: 10.1016/j.jacl.2016.03.012. Epub 2016 Mar 29.